You’re going to have an amazing experience living in Albert Court when you come to Liverpool. Just a short walk from both University of Liverpool and Liverpool John Moores University, we’re in a great location, right in the centre of the city. Liverpool has a rich history. The city’s Chinatown is one of the oldest in Europe and the famous waterfront stretching from Albert Dock right down to the Pier Head became a UNESCO World Heritage Site in 2004. So, whether you’ve got your heart set on checking out one musical venue after another (there are a lot! ), you can’t wait to start shopping or you’ve got a list of Liverpool’s edgiest museums to tick off, you’ll find travelling around the city is a breeze when you live at Albert Court. At Albert Court in Liverpool, our Bronze Rooms come with all-inclusive bills, access to our gym & other great amenities. Find your new home today! Discover the modern Silver Rooms at our Albert Court property in Liverpool now. With 3/4 bed, en-suite & bills included, you won't want to miss out! Enjoy space aplenty & all-inclusive bills, double beds & en-suite bathrooms in our Gold Rooms at Albert Court. Find your new home in Liverpool now. 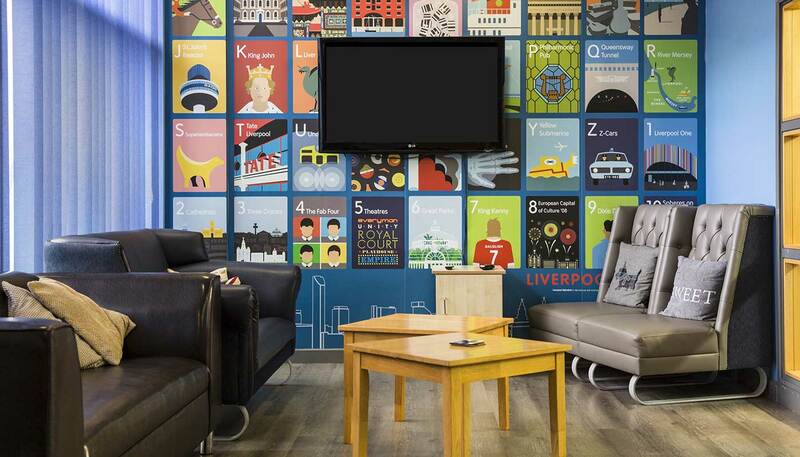 Live like student royalty in one of our Platinum Rooms at Albert Court, Liverpool. With plush double bed and study area, we think you'll love your new home. 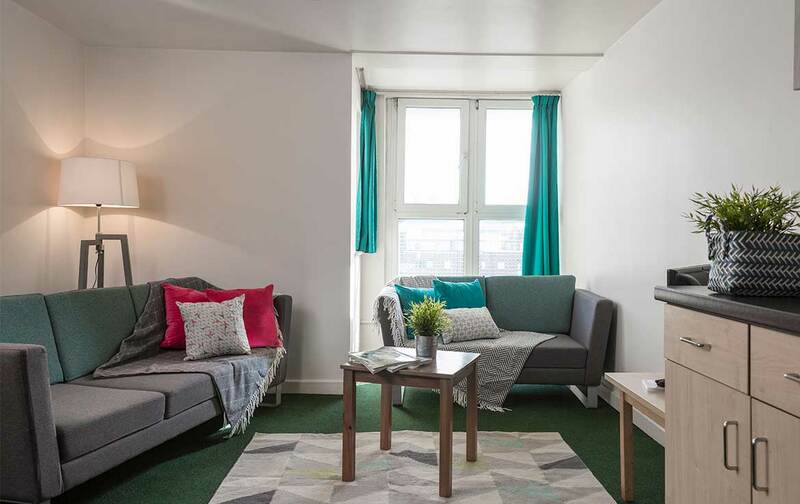 What types of accommodation are available in Albert Court? We have four room sizes in our Liverpool halls, ranging from Bronze, through Silver and Gold, to Platinum, and they’re priced in that order too, so you’re sure to find one that suits your budget. Each room comes with an en-suite bathroom for your privacy, so you’ll never need to worry about cleaning up someone else’s mess and you’ll also find lots of storage and a practical desk where you can get cracking on coursework. You’ll also find a modern shared kitchen within your flat – this is famously where everyone gets to know each other at uni, and you’ll have many memories of shared meals, getting ready for nights out and lots of laughs in here – not to mention some therapy sessions after a hard session in the library! When you want to expand your social horizons and meet others in the building, come down to our social rooms and have a game of pool or hit the BBQ area in the sun – living in halls is all about making friends and having fun after all! Taking your first step into adulthood can come with nerves and excitement in equal measure – we don’t want you to worry about bills too! Budget for your weekly rent payment and you’ll be covered for electricity, water, Wi-Fi internet access and contents insurance. You can’t say fairer than that! For the fitness fans among us, you’ll find a FREE on-site gym at Albert Court and if you enjoy riding around town, you can make use of our bike storage when you’re at home. When it comes to making your life easy, we’ve got it covered with an easy-to-use, on-site laundry room, 24-hour security and a parcel service so you can have mail delivered even when you’re out of the house. Find the flat for you, today.